Bloemfontein – One of the most important things any major Rugby playing country needs is very strong and well looked after Schools Rugby. South Africa is no exception. I cannot even begin to stress the importance of this. The reason is very simple in fact. This is where the future of Springbok rugby lies. It’s more important than the development structures we have in place. Simply; because the current development structures have been found to be lacking. The reasons for this are far too numerous to mention. For this very reason, we have to protect this and viberate culture we have in place and build on it. There is a great tradition in South African Schools Rugby where we are luckily and privileged enough to witness the top schools facing off against each other weekly. 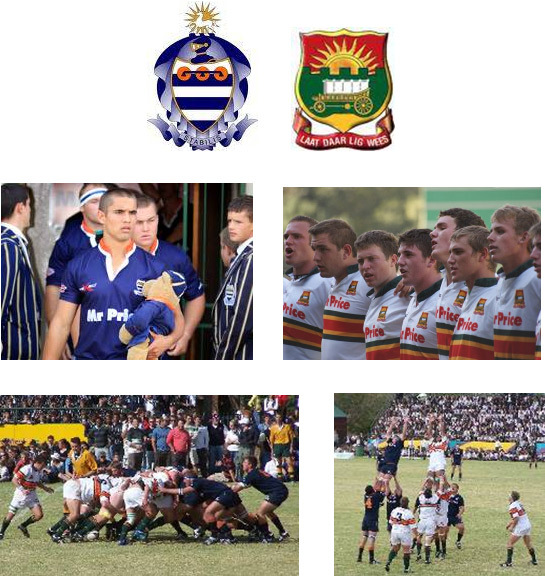 This weekend for example one of the epic derbies takes place in Cape Town, when Bishops take on Rondebosch. I can assure you that this will be one the better Cape derbies in a long time. The beautiful thing about school rugby is our wealth in schools with unrivaled rugby tradition. Paul Roos Gymnasium (Stellenbosch), Paarl Gymnasium, Boishaai (both Paarl), Bishops (Cape Town), Grey College (Bloemfontein), Affies (Pretoria); these are all school that have produced the majority of Springbok players both past and present. Currently a couple of new boys have arrived on the block that could topple any of the fore mentioned teams in a heartbeat. It is really great to see Hoërskool Waterkloof (Pretoria), King Edward School VII (Johannesburg), Hoërskool Noord-Kaap (Kimberley) all being serious contenders this season. Traditionally the clash of the season has always been the last match of the season, the epic Grey College vs. Paul Roos Gymnasium game. This year it will be hosted in Stellenbosch. It’s sad to say that this season it won’t be the the game of the year. Paul Roos have suffered a string of shocking defeats that has knocked them out of the Top10. This year it will be slightly different. 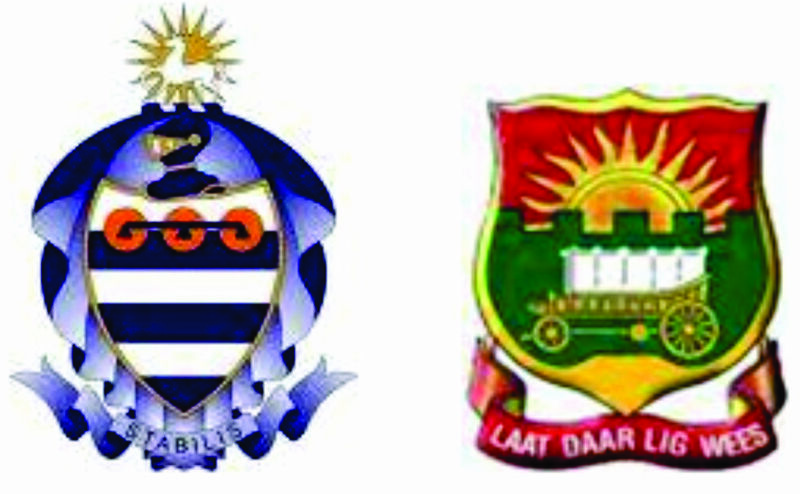 Afrikaanse Hoër Seunskool, better known as ‘Affies’ will be playing against Grey College. The two schools play each other every season, so it’s by no means new territory for either school. What makes it different this year is that the two schools are currently number one and two on the rankings. There has been much debate on this topic; a lot of people believe that Grey shouldn’t be up there, because they aren’t as strong as they have been over the years. Grey have been undefeated since August 2009, when they lost to Paul Roos in Stellenbosch. Affies on the other hand have been looking most impressive. Their first defeat of the season came last weekend against Hoërskool Noord-Kaap in Kimberley. Affies however, have been very unlucky to only have three players representing the Bulls are the Craven Week to be hosted in Kimberley later this year. The two teams were meant to play either other last month in Bloemfontein, however the game was postponed due to freakishly wet weather in the Free State. The game will now take place on the 16th of June 2011, proving the wet weather holds out. This postponement has been rather controversial. With the Craven Week is just around the corner, there was talks that both schools won’t be at full strength. I have spoken to the Grey management, they confirmed that both schools will be playing at full strength. It was of the best news I got all year. Not having these two powerhouses playing at the full strength is an injustice to Rugby and should rather not be played. A Brief History between the Grey vs. Affies. The Rugby Teams of Grey College and Affies first played each other in 1953, the same year that Affies’ legendary Springbok Louis Schmidt (father of another legend, Dr. Uli Schimdt) played First Team. Since 1953 Grey and Affies have met 31 times, with Grey winning 23 of these encounters, while 3 matches were lost and 5 were drawn (a 74% winning record). Grey’s winning record against all other schools since 1966 is a massive 94%. Affies have a winning record of 70% against all other schools which dates back to 1923. Grey, have produced a total of 34 Springboks to date and Affies 7 Springboks. Post-isolation Springbok counts (since 1992) are 18 for Grey and 4 from Affies. Grey and Affies have produced more first class rugby players than any other school in the last 10 years; this goes for Currie Cup, Super Rugby and Vodacom Cup. While Grey has a better winning record at the First Team level than Affies, it is interesting to note the strength and depth of Affies Rugby where Affies has won (on several occasions over the last two decade) the overall rugby count of all rugby matches played during the Interschool’s day. The Grey vs. Affies Interschool’s has now evolved to be one of the Premier Interschool’s days in South Africa and is a reflection of strength vs. strength between South Africa’s foremost rugby schools. The Game is taking place on 16 June 2011. We would like as many people as possible to attend. It’s always a great day of rugby. For those you who won’t be able to attend it we will be doing live coverage on www.rugby15.co.za/livescores or on Twitter @SchoolRugby. The game with be televised on SuperSport 1 at 13:55.